Tony is working hard to fulfil all of your orders, some orders have specific requirements that take extra time and research. 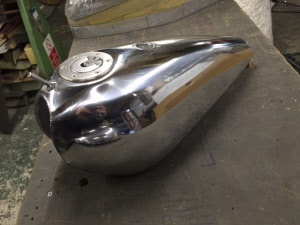 Please be assured your order is important and we will get to it as soon as possible. 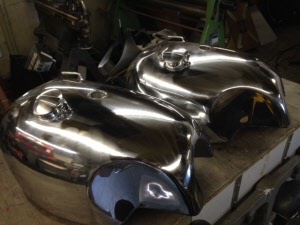 We thank you for your patience if you are waiting for a tank. I am sure our customers would agree when you receive your tank, it will be a tank that you will be proud of! 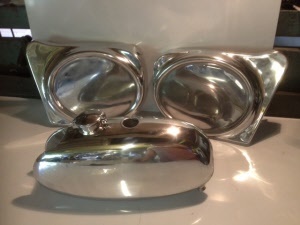 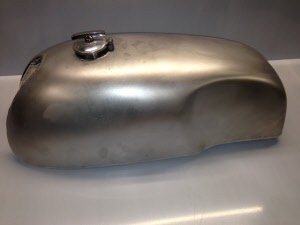 We have been manufacturing alloy fuel tanks, oil tanks and other classic motorcycle equipment for over 20 years and are the leaders in Alloy Fabrication. 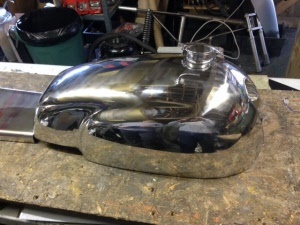 When you buy a Holtworks Tank it will be a tank you will be proud of! View our photos and feedback for proof! 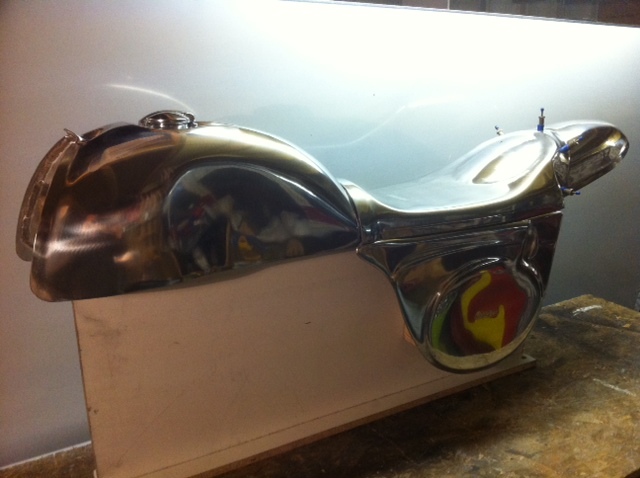 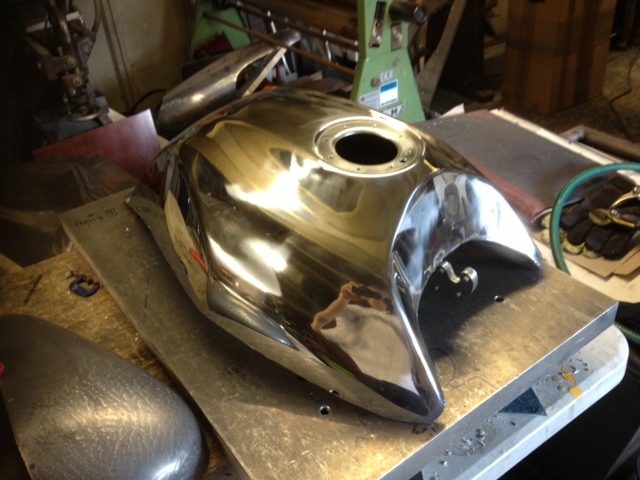 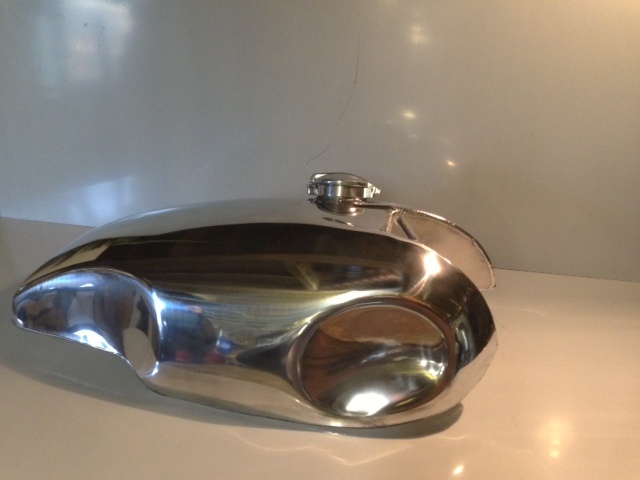 3 Gallon Sprint Tank - can be made to fit different frames for the Cafe Racer look!